*Dining table only. Other items shown are not included. 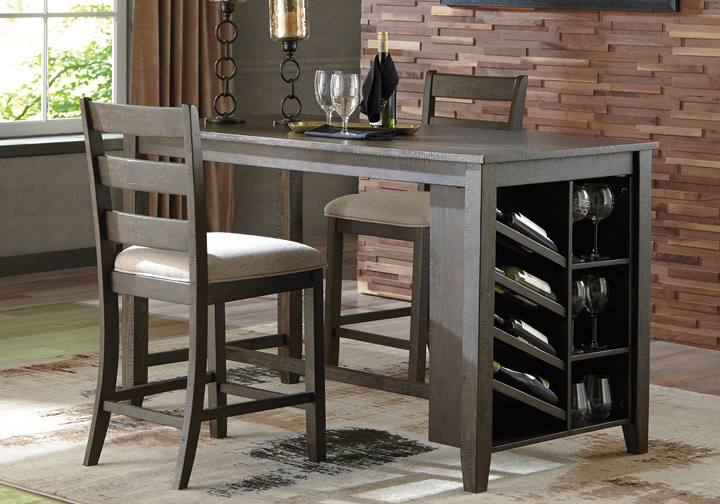 Made with Acacia veneers and hardwood solids with rough-sawn plank texture and warm brown finish. Chair seat is upholstered in a light brown textured fabric. Barstool features cushioned seat with light brown textured fabric. Counter height table fits four stools and features open shelves and 8 bottle wine rack for added function. D397-223 is made with hardwood solids, Acacia veneer and engineered wood with rough-sawn plank texture and warm brown finish. Table is designed for use in great room settings where alternative counter height dining options are needed. Perfect for setting behind sofas and sectionals for TV viewing. Features an AC power supply with dual USB charging ports. Packs with three backless barstools each with a cushioned seat set with nail trim details. D397-223 stool dimension: 14″W x 16″D x 24″H. Trendy cross-buck trestle base design supports a thick farmhouse style table top. Alternative seating option available with the side bench. 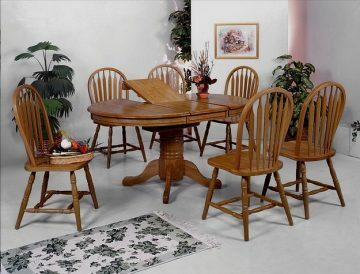 D397-35 extension leaf dining table fills out our D397 collection. 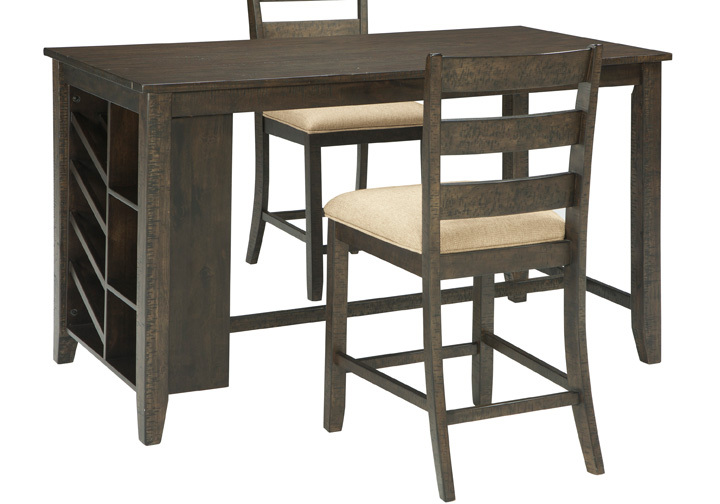 Trendy cross-buck trestle base design supports a thick farmhouse style table top.